You would not believe but we have a worthy alternative to our marvelous sea, hidden in the woods only hour and a half drive from the Arcadia camp. 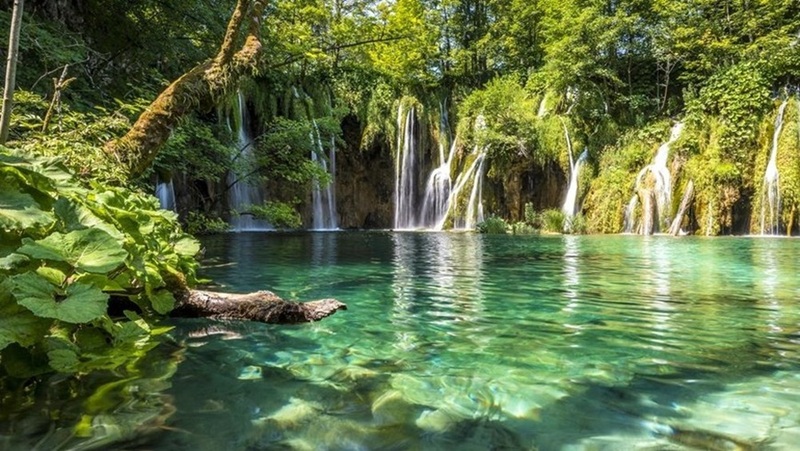 Yes, we offer about 300 square kilometers of fabulous natural environment – Plitvice Lakes National Park – the largest and oldest national park in Croatia inscribed in 1997 on UNESCO World Heritage List. It’s a true wonderland for all your senses. Scents, sounds and views of nature in its fullest, waterfalls’ gurgle dispersing over the sedge barriers up to 16 naturally created turquoise lakes. Imagine yourself standing in the middle of the most magnificent photoshoped photography. This is actually the closest to the scene you will see because the natural beauty of Plitvice Lakes is unreachable even to the Photoshop. 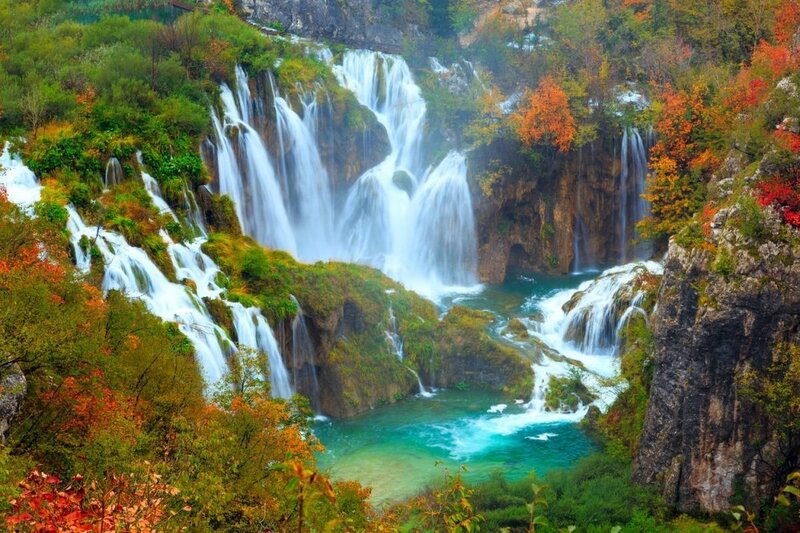 Ideal time to visit Plitvice Lakes is – any time! During the summer months they provide amazing refreshment, colorful palette in the autumn, power of awakened nature in the springtime and a true frosty tale in winter. You can widen your fairy walk through Plitvice Lakes with different kind of activities such as cycling, rock climbing, paintball, zip-line etc. 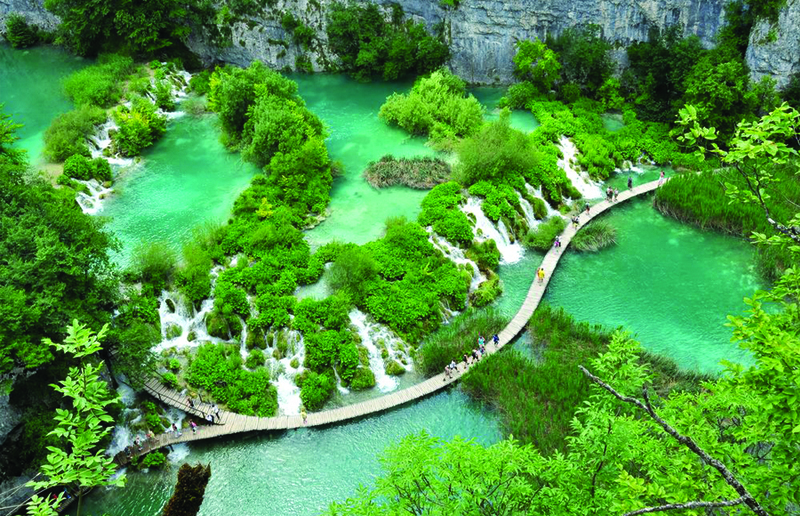 Plitvice Lakes tour can be done in different ways; walking, taking a panoramic train or electric boat, or you can also run it during the Plitvice marathon taking place in June, considered to be one of the most difficult ones in the world due to is specific land configuration.